Oh, that frellnik is so, SO fired. At least he mentioned that there was a website (as at least a couple of you have discovered). 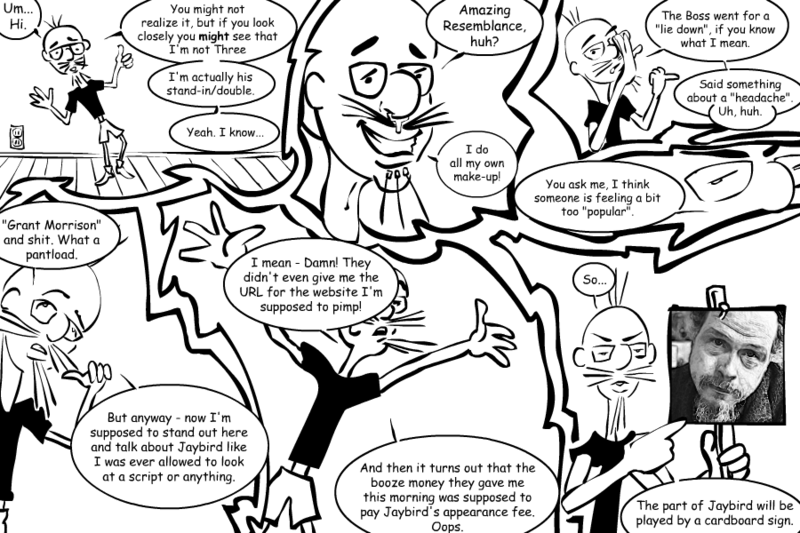 Jaybird's Nest , the digital/online/cyber version is here! Send in the Dancing Horses! First - it's not a comic. It's an ongoing gallery. Paintings, etchings, calligraphy, etc.,. And the occasional glimpse into the manifest Nest in the Base Material.